Just over two decades ago GM crops and food made their appearance in fields and shops; first in North America, then in the UK and the EU (mainly in the form of products from animals fed GM feed), and latterly in a few other countries – notably Argentina and Brazil. The terms used for them vary; sometimes GM (or genetically modified), sometimes GE (or genetically engineered), often GMOs (genetically modified organisms) but, whichever term is used, they have generated an unprecedented level of controversy and blighted the emergence of a genuinely sustainable, equitable and healthy farming and food system throughout the world. Some people argue that the technology itself is not a problem; that it is neutral but problems have been caused by the way it has been implemented. In contrast, others believe the technology is potentially a risk to animal and human health and has not been adequately assessed and regulated. Furthermore it is argued, that far from being neutral, genetic engineering crop technology is intrinsically part of the corporatisation of global agriculture and food where patents are being used to privatise biological systems and biodiversity and give a few multinational corporations unprecedented levels of control over food and farming. How far the technology is a cause, a symptom or a co-incidental factor is debateable but what is clear is that the genetic engineering perspective of agriculture and food now dominates the research establishment, politicians and policy makers, and preoccupies the media; so much so that their vision has been corrupted and they no longer recognise problems or alternatives. The reality is that the age of GM – the two plus decades of genetically engineered crops and the incursion of GMO derived ingredients into our feed and food chains – has been characterised by false promises, technology failure, increased corporate control, increased environmental damage and increased health risks. It is an age which has spurned ecological and equitable alternatives and has locked the world’s farming and food systems into a technocratic, corporate driven mindset and approach which is not resilient, not innovative, is not scientific, is not sustainable and is not working for anyone other than a few short term profit- focused multi-national companies. It’s time to move beyond this mindset and approach; to move Beyond GM and we can do so because there are viable alternatives in existence. The most potent argument that is used in support of GM farming and food is that it is needed to feed the estimated 9 billion people who will inhabit our planet by 2050. Yet we already produce enough calories to feed 14 billion people. How can it make sense in a world of finite and diminishing resources to push for more production when we already produce more than enough? But such questions are dismissed as irrelevant. Scientists working on food and agriculture, almost all agri-industry leaders, most politicians and policy makers and much of the media all chant the same ritualistic credo. All manner of high technology, intensive, corporate driven approaches – including and especially genetic engineering – are then framed and presented as the only way forward. But if these researchers, policy makers, media commentators and – stretching imagination to breaking point – agri-business leaders – were obliged to start their papers, presentations, articles and interviews with something approximating the truth we might see a different framework and logic. They and we might draw different conclusions and we might look Beyond GM. In fact back in 2008 the most comprehensive scientific and technical assessment ever completed – the International Assessment of Agriculture Science and Technology (IAASTD) – did reach the radically different conclusion that GM is not a suitable technology for alleviating hunger. The IAASTD report highlighted that agro-ecological approaches were the most appropriate technologies to tackle food security and hunger. Techniques focussed on building organic matter in soil to help in drought situations, utilising mixed cropping and rotations, and the use of agro-forestry are showing they can deliver increased yield and greater resilience in all parts of the world. IAASTD was commissioned by the UN and other international agencies. It involved nearly 600 scientists from many countries and disciplines. Agro-ecology has been described as ‘the application of ecological concepts and principles” to agricultural systems. These applications are many and varied. They range from the relative complexity of Sustainable Rice and Crop Intensification to the straightforward, traditional approaches of rotational cropping which GM maize farmers in the US are now being advised to go back to in order to deal with weed and pest problems. As recent surveys and reports have made clear, in all parts of the world these methods provide a more resilient and sustainable approach to agriculture, food production and food security than does the rusting “silver bullet” of GM. Following the advent of genome mapping developments in plant breeding have rapidly progressed so that “traditional” breeding approaches are outperforming the so called “modern” genetic engineering techniques. In 2012, the leading science journal Nature published the genome sequence of domesticated tomato and a draft sequence of its wild relative. This was the outcome of the EU-SOL project which had engaged over 300 scientists from 14 countries and 90 institutions. The editorial concluded; “that the skills of traditional plant breeders – who have a feel for the whole organism – will have to come back into fashion in the world of science”. Since then it has become clear that using genetic marker techniques – Marker Assisted Selection (MAS) – non-GM plant breeding along with agro-ecology is marching ahead of GM breeding and cropping. For example, since its launch in 2010, the Improved Maize for African Soils Project (IMAS) has developed 21 conventionally bred varieties which have increased yield by up to 1 tonne per hectare. 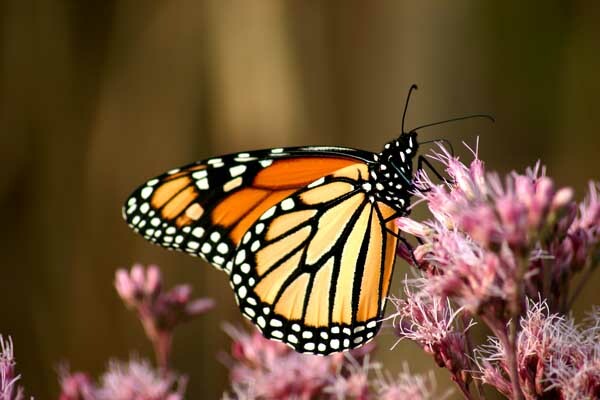 In contrast, the project’s researchers say that they are at least 10 years away from developing a comparable GM variety. In another programme – The Drought Tolerant Maize for Africa project – 153 new, conventionally bred varieties have improved yields in 13 countries. In field trials, these varieties increase yields by up to 30% under drought conditions. It is estimated that by 2016 the extra yields from these conventionally bred, drought-tolerant maize varieties could help reduce the number of people living in poverty in these 13 countries by up to 9%. “Smart” traditional or non-GM breeding using MAS is also delivering on crops with enhanced nutritional status while GM approaches like the much hyped “Golden Rice” are repeatedly failing to live up to the claims made for them. The EU-SOL researchers analysed 7000 tomato varieties, from old to the most modern. All of the great range of nutritional and sensory characteristics this represents has been achieved using traditional breeding methods. This highlights firstly; just how much non-GM approaches have to offer; and secondly, the dangers of narrowing the skills base of plant breeding and the control of genetic resources through patents. There is no doubt that undertaking work such as mapping the tomato genome and openly publishing the results is an outstanding use of public money. But this does not guarantee “public good”. The misappropriation of publicly funded research knowledge by private and corporate interests through intellectual property “rights” such as patents is the hallmark of GM technology and needs to be challenged. Alongside this corporatisation of plant breeding is the growing concentration of corporate ownership of seeds and traits. Four firms control an estimated 40% of the global seed market – all of them involved in GM – and in some seed sectors the control increases to up to 90%. The non-GM seed sector has also fallen under corporate control. Monsanto for example, owns an estimated 60% of the EU’s fruit and vegetable seed varieties. Considering that a handful of companies own or control the food commodity supply chain logistical structure – storage facilities, transport etc – we have to conclude that we are a long way from a healthy and equitable agriculture and food system which is democratically accountable. Throughout the world citizens are increasingly concerned about the use of GMOs in farming and food production but their questions and objections are continually ignored by governments and politicians. A pro-GMO mindset dominates the research establishment, the media and politics. In the US – where GMOs have long been embedded in farming and the food systems – the government is fighting or ignoring the wishes of citizens to have more transparency, accountability and regulatory oversight over GMO technology. Governments in the EU and especially the UK are heavily promoting the use of GMOs in farming and food and are set on making genetic engineering the primary driver of agriculture. On both sides of the Atlantic the research establishment and the media are colluding with government and the biotech industry to thwart the wishes and concerns of citizens. There is no doubt that genetic engineering technology and industry – and its underpinning patents and intellectual property rights – has had a corrupting influence on the interface between science, technology, government and media. Journalists and politicians who should be asking questions and calling industry, government and the research establishment to account, are not doing so. Vested interests, the influence of industry funding and lobbying and blinkered self-interest play a role in this dereliction of duty. Some, who ought to know better, have become mesmerised by technological hype but too many politicians and journalists are simply ignorant of some key facts and are either too busy or too lazy to find out more. So they accept the hype and join in what has been called the GMO “love-fest”. This has to change because the management of natural resources to produce food on our planet of finite and diminishing resources is one of the critical pillars upon which our civilisation is built. It is one of the few areas of human activity which, if we get wrong, will fundamentally undermine our existence. And there is every reason to think we are getting it wrong. We will only move beyond this dire situation if citizens take action, stand up and be counted and make their voices heard. Alternatives do exist but they are not given the support they deserve. It is often said about climate change that “business as usual is not an option”. It is true about climate change and equally true about agriculture and food. A healthy, equitable, sustainable food system from a healthy, equitable, sustainable agriculture is attainable but to get there we have to move Beyond GM. Please don't use this form if you need to update your details, instead use the link from the bottom of any newsletter. We are also responsible for maintaining the mailing lists for the groups Mums Say No to GMOs and GM Education. We take privacy and data protection very seriously. We collect your personal data in order to inform you of the progress of the Organisation, to provide news and information and respond to actions you have taken (e.g. using our photo uploading tool). We never collect more data than is necessary, nor do we hold it for longer than is required to fulfil our purposes. “Your Data” means any information about you from which you may be personally identified including your name, address, email address, Facebook data, photos submitted to our campaigns, and any other information from which you can be identified and which you may disclose to us on our Websites, in conjunction with the Organisation or otherwise at any time. 1.5 information about yourself provided by you to us for specific purposes. 1.6 To help us improve our services, if you send us personal information which identifies you via email, we may keep your email and your email address. We may also collect information that is available from your browser. 1.7 We may collect information about your computer, including where available your IP address, operating system and browser type, for system administration and to report aggregate information to our advertisers/partners. This is statistical data about our users’ browsing actions and patterns, and does not identify any individual. 2. When do we collect your data? 2.1.4 otherwise disclose Your Data to us through our Websites or otherwise at any time. 3.1.8 campaign on issues related to the genetic modification of food and farming where you have expressed a clear interest in such activity (e.g. sending a letter to a representative via our Websites). 3.2 You can change your mind and choose to not have your data passed on to third parties pursuant to paragraph 3.1.5 at any time by sending an email requesting this to unsubscribe [at] beyond-gm.org. Please understand that if you are receiving communications from these third parties already, you will need to refer to their privacy notice to stop receiving communication from them. 3.2.1 You can also choose to not receive any communication from us via Facebook, Twitter, LinkedIn or any other social networking site where we have a presence by removing yourself from our pages/feeds in line with their own privacy notices. Note that you will still need to unsubscribe yourself from our mailing list if you wish to stop receiving communication from us altogether. 4. Will we pass on Your Data to third parties? 4.2 In addition, some general statistical information about our user base may be passed on to reputable third parties for research purposes but these details will never include information personally identifying you. 4.3 Remember that if you are using a blog, or forum on our Websites or Facebook, any information about you which you choose to post will be available for others to see and we can’t control how they may use it. Please therefore exercise caution and think carefully before posting any personal information. Likewise, we require that you don’t post any personal information about other people without first obtaining their express consent to do so. 4.4 We do not knowingly collect, store or use any personal information about children under the age of 16. 4.5 The use of photos on websites, on social media and in other publications poses direct and indirect risks to children and young people. We welcome photos of family members of all ages on this site but will not post, and will take steps to remove, pictures of children in unsuitable dress, or who are unattached to a family group (as evidenced by their postcode information). Submission of your child’s photo is taken as consent for that photo to be used by us as set out in section 3 and in our Terms & Conditions. We urge parents, wherever possible and practicable, to ask for the child’s permission to use their image before submission. 5.1 We will take all reasonable steps to protect Your Data. All Your Data collected by us is stored on a secure server. 5.2 Please act with caution when using blogs, forums and other applications as set out in 4.3 above. 5.3 Please be aware that our Websites may link to other websites which may be accessed by you. We are not responsible for the privacy policies, content or security of those linked websites. 5.4 We don’t make any other transfers of Your Data outside of the European Economic Area other than where we have measures in place to protect and continue to control Your Data and keep it secure even when on the US servers. All third party data stores are subject to strict contractual controls. 6.1 We use MailChimp to collect, process and store data on those who subscribe to our mailing list. Subscribers must actively sign up to these lists, (e.g. via electronic or manual forms) and must complete the double opt in to be added to the list. MailChimp stores such personal data as we collect in order to create our subscriber mailing lists. As part of its processing MailChimp may transfer personal data to certain of its sub-processors, who perform some critical services, such as helping MailChimp prevent abuse and providing customer support. 6.2 Email communications sent to our supporters/subscribers via MailChimp include obvious links which allow supporters/subscribers to access, correct, amend or delete information held about them, and also to unsubscribe from the mailing list. 6.3 You may be removed from our mailing list at any time by asking us to remove you, or you may choose to unsubscribe from our mailing lists by emailing unsubscribe [at] beyond-gm.org or clicking the link in the bottom of all our emails. 7.1 Our websites use Paypal to collect online donations. Paypal shares data with a range of third parties a list of which is available here. Sharing this information with payment processors and credit reference and fraud agencies and group companies is necessary in order for Paypal to fulfil obligations to its customers. The regulatory agencies with which Paypal shares its data are carrying out their purpose in accordance with their regulatory objectives and requirements. 8.1 A cookie is a small element of data that a Website can send to your browser, which may then be stored on your hard drive. Most web browsers automatically accept cookies, though you do not have to. As a rule, cookies will make your browsing experience better. If you wish to disable cookies then you can do so by readjusting your browser settings, although please note that by disabling cookies you may not be able to use all features of our Websites. For more information on cookies and how to disable them, you can consult the information provided by the Interactive Advertising Bureau at www.allaboutcookies.org. The information generated by the cookie about your use of our Websites (including your IP address) is transmitted to and stored by Google. Google uses this information for tracking how you use the website, compiling reports on website activity for website operators and providing other services relating to website activity and internet usage. Google may also transfer this information to third parties where Google is legally required, or where such third parties process the information on Google’s behalf. Google can combine your IP address with any other data held by Google. By using our Websites, you consent to the processing of data by Google in the manner and for the purposes set out above. If you would like to opt-out of Google Analytics monitoring your behaviour on our sites please use this link. 8.3 Any changes we may make to our privacy and cookies policy in the future will be posted on this page. The right to be informed about the collection and use of their personal data. The right to access their personal data and supplementary information. The right to have inaccurate personal data rectified, or completed if it is incomplete. The right for individuals to have personal data erased. The right to request the restriction or suppression of their personal data. The right to obtain and reuse their personal data for their own purposes across different services. profiling (automated processing of personal data to evaluate certain things about an individual). 9.2 These rights apply in some, but not all circumstances. You can find more information about data protection and your rights of privacy from the Information Commissioner’s Office at www.ico.gov.uk. You can also find general information about data protection within the EU here. 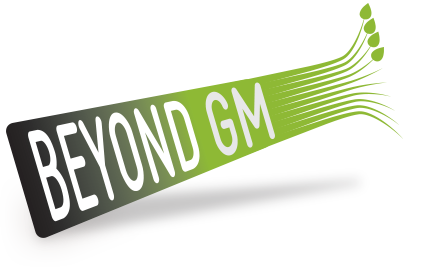 10.1 Beyond GM Ltd, is a company registered in England and Wales under registration number 9078147. Our registered address is Beyond GM Ltd, c/o Russell New, The Courtyard, Shoreham Road, Upper Beeding, Steyning, West Sussex BN44 3TN. Our administrative office is: 20 Rockfel Road, Lambourn, Hungerford, Berks, RG17 8NG.